The Schenectady ADK has a great group of white water paddlers who have amassed a wealth of knowledge of paddling, and of the region’s rivers . Check out the calendar to find the rivers and activities that match your interest, or download our 2019 white water schedule. Need help getting started with paddling? We offer regular white water clinics at the Duanesburg YMCA pool that include Basic Strokes for Kayaking, Kayak Rolling and Freestyle/Play-Boating. For more information or to get started, email Ralph Pascale. Lifejackets are required on all paddling trips. Dress appropriately for weather conditions. All trip leaders will screen prospective paddlers to be sure equipment and experience are appropriate for the trip. 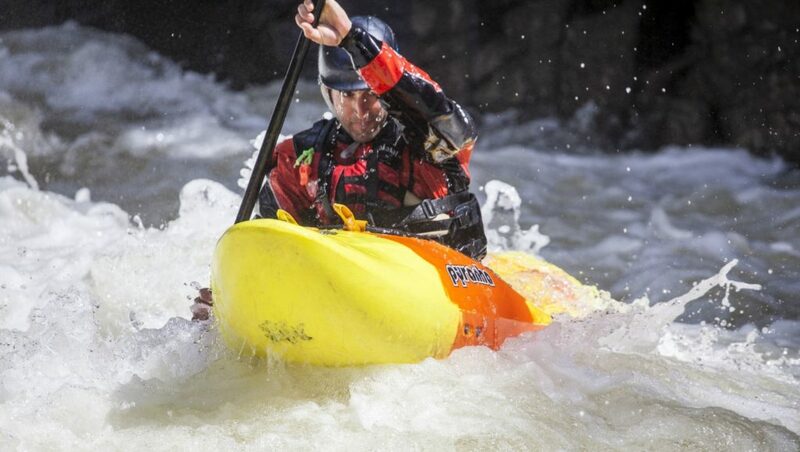 Misrepresentation or over estimation of skills is a common cause of whitewater accidents. Paddling skill should allow each boat to confidently eddy out regularly, thereby keeping the group together and allowing members to keep an eye out for each other. Boats should be appropriately outfitted for the level of water.